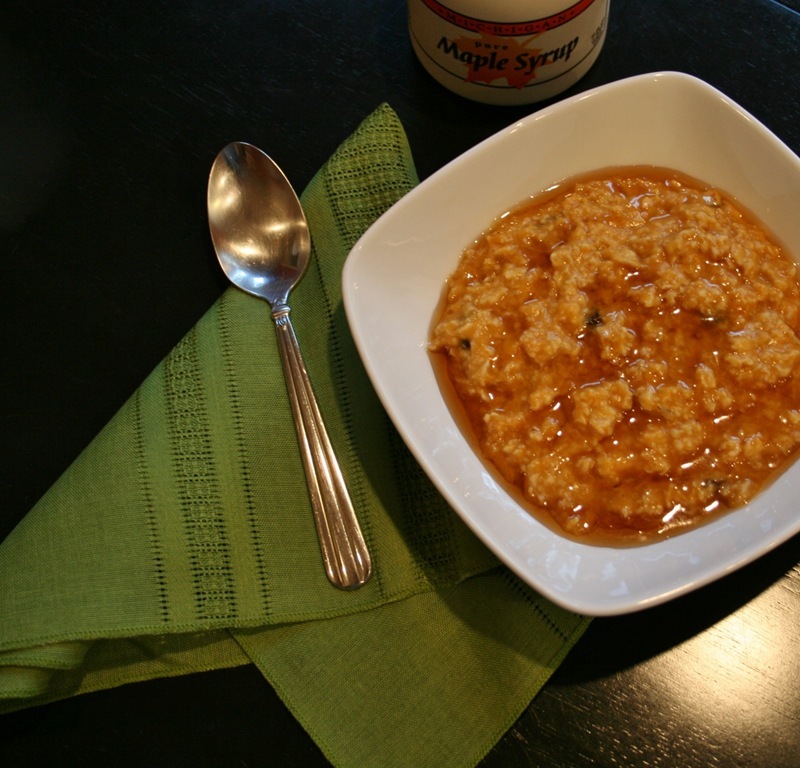 Or, Halloween pumpkin oatmeal as I introduced it this past weekend. 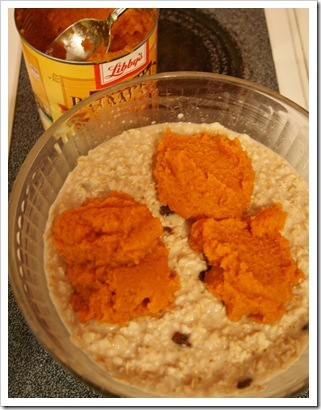 Many, many years ago a co-worker introduced me to the world of pumpkin oatmeal and I have been hooked ever since. 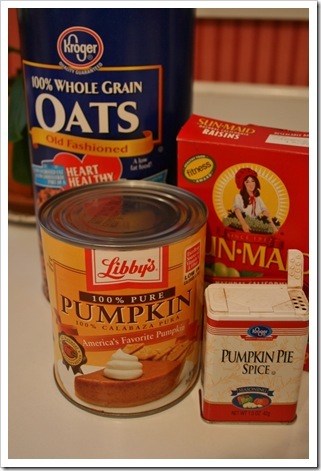 Her recipe was cooked on a stove and called for lot’s of spices, and steps. Since I am a lazy cook, when I can be, I modified it a bit. 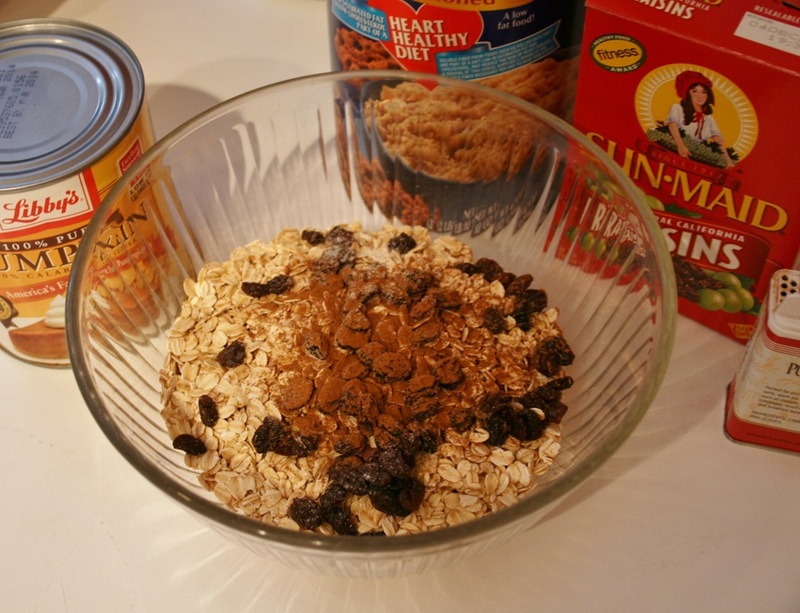 First, I like to cook my oatmeal in the microwave and since The Mister will not partake, I usually make the following amount, which feeds me and the Little Guy two meals. You will have to adjust the amounts according to the size of your brood. Put all of this in a bowl and microwave on high for 3 minutes. Stir and cook for 3 more minutes. Usually this is enough time, but you know everyone’s appliances are a little different, so you may have to adjust the time. 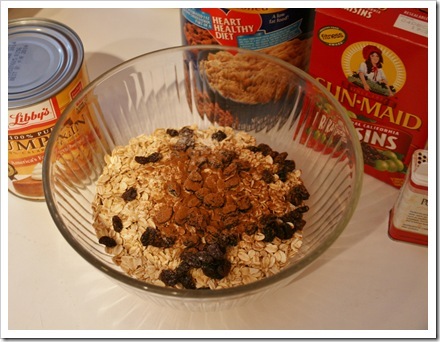 Just cook it until the water is absorbed and the cereal has the texture you like. 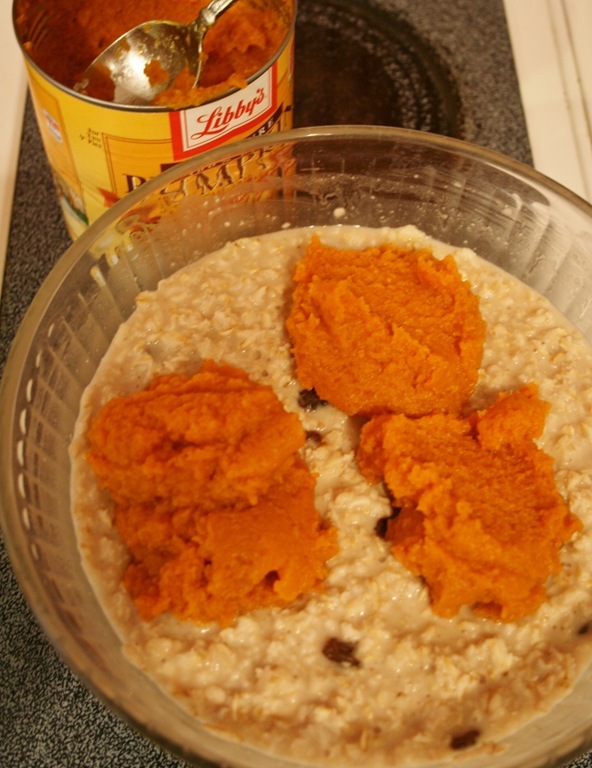 Next I added three large dollops, about one third of a large can, of pumpkin puree to the oatmeal and stirred. 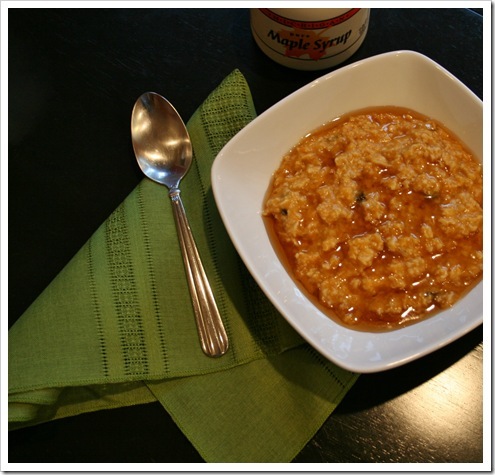 My Little Guy loves maple syrup almost more than I do, so I served it up with a swirl of the good stuff and enjoyed! Mmm…. the perfect cool morning meal! 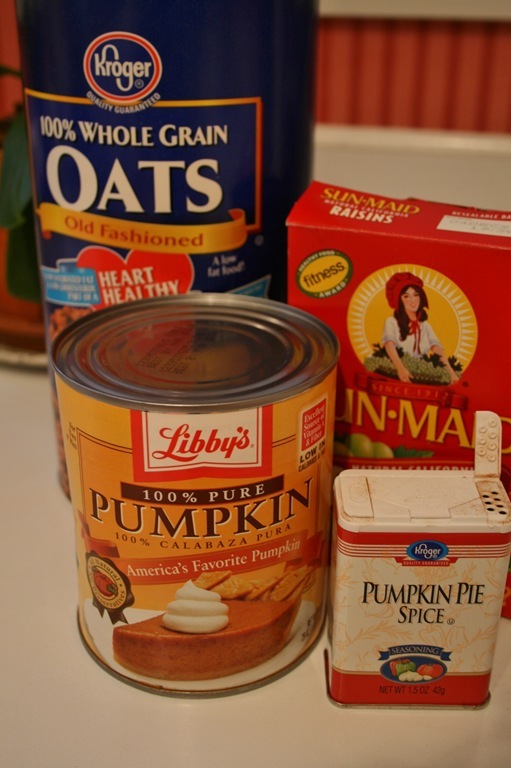 PS-Separate the leftover pumpkin puree into thirds, place them in a zipper bag and freeze for the next time you are in the mood for some punkin’ goodness.